Cristián Maluk is a Senior Lecturer of Civil Engineering. His background is in structural fire engineering and in the broader scope of fire safety science. His research interests are in the fire performance of building construction materials and the resilience of structural systems during and after fire. Cristian has coordinated and contribute towards research studies in the fire safe design of structural concrete systems prestressed with fibre reinforced polymer tendons, heat-induced concrete spalling, performance of intumescent coatings under non-standard heating regimes, and developing novel fire testing methods. Best Poster Award at the 10th International Conference on Structure in Fire (SiF), Belfast, UK, 2018. Recipient of the International Association of Fire Safety Science (IAFSS) Best Thesis Award “Excellence in Research” (years 2014-2016) to be presented during the 12th International Symposium on Fire Safety Science (IAFSS), Lund, Sweden, 2017. Finalist of the Best PhD Thesis Award from the International Institute for FRP in Construction (IIFC). Award competition took place during the Composites in Civil Engineering (CICE) conference to be held in Hong Kong, 2016. Recipient of the Thomas Howard Medal from the Institution of Civil Engineers (ICE). Price for 2016 Best Paper in the Journal of ICE Construction Materials. 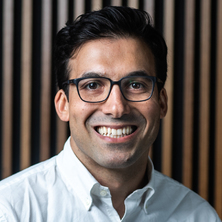 Recipient of the Philanthropic Grants for Early Career Engineering Researchers from the Faculty of Engineering, Architecture and Information Technology, The University of Queensland. Best Paper Award at the 2nd Postgraduate Conference on Scotland Infrastructure and Environment, Edinburgh, UK, 2014. Best Poster Award at the 11th International Symposium on Fire Safety Science (IAFSS), Christchurch, New Zealand, 2014. Recipient of the John Moyes Lessells Scholarship from The Royal Society of Edinburgh, Edinburgh, UK, 2013. Recipient of the Training School Travel Grant for Young Researchers on Integrated Fire Engineering and Response (COST TU0904) – Key Issues for the Future of Fire Engineering, Naples, Italy, 2013. Best Poster Award at the 10th International Symposium on Fire Safety Science (IAFSS), Maryland, USA, 2011. Dao, Vinh, Torero, José, Ho, Johnny, O'Moore, Liza, Maluk, Cristian and Bisby, Luke (2016) Fire performance of concrete using novel fire testing. Concrete in Australia, 42 1: 58-59. Gonzalez, Mateo Gutierrez, Madden, Joshua and Maluk, Cristian (2018). Experimental study on compressive and tensile strength of bamboo at elevated temperatures. In: WCTE 2018 - World Conference on Timber Engineering. 2018 World Conference on Timber Engineering, WCTE 2018, Seoul, South Korea, (). 20-23 August 2018. Wall, Harrison, Fernando, Dilum and Maluk, Cristian (2018). Fire performance of a Glulam-FRP composite - proof of concept. In: WCTE 2018 - World Conference on Timber Engineering. 2018 World Conference on Timber Engineering, WCTE 2018, Seoul, South Korea, (). 20-23 August 2018. Fernando, Dilum, Torero, Jose L., Gattas, Joseph, Baber, Kim, Maluk, Cristian and Hidalgo, Juan P. (2018). Novel technologies for tall timber buildings: research streams and three solutions. In: 24th International Wood Construction Conference (IHF), Congress Centrum, Garmisch-Partenkirchen (GER), (). 5-7 December 2018. Madden, Joshua, Guiterrez, Mateo and Maluk, Cristian (2018). Structural performance of laminated bamboo columns during fire. In: Australian Structural Engineering Conference: ASEC 2018, Adelaide, Australia, (). 25-28 September 2018. Maluk, Cristian, Clark, Todd and Ridout, Andrew (2017). Fire Behaviour of Fibre Reinforced Concrete Mixes – Macro and micro fibres. In: Proceedings: 16th Australasian Tunnelling Conference: Challenging Underground Space: Bigger, better, more. 16th Australasian Tunnelling Conference 2017, Sydney, Australia, (). 30 October - 1 November 2017. Le, Quang Xuan, Dao, Vinh The Ngoc, Maluk, Cristian, Bisby, Luke and Torero, Jose Luis (2016). Constitutive models of concrete at elevated temperatures: studying the effect of temperature gradients. In: Maria E. Moreyra Garlock and Venkatesh K. R. Kodur, Structures in Fire: Proceedings of the Ninth International Conference. International Conference on Structures in Fire, Princeton, NJ, United States, (257-264). 8-10 June 2016. Maluk, Cristian, Bisby, Luke and Terrasi, Giovanni Pietro (2016). Explosive Concrete Spalling During Large-Scale Fire Resistance Test. In: Garlock, Maria E., Structures in Fire: Proceedings of the Ninth International Conference. 9th International Conference on Structures in Fire (SiF), Princeton, NJ, United States, (225-232). 8-10 June 2016. Rickard, Ieuan, Bisby, Luke, Deeny, Susan and Maluk, Cristian (2016). Predictive Testing for Heat Induced Spalling of Concrete Tunnels-The Influence of Mechanical Loading. In: Garlock, Maria E., Structures in Fire: Proceedings of the Ninth International Conference. 9th International Conference on Structures in Fire (SiF), Princeton, NJ, United States, (217-224). 8-10 June 2016. Terrasi, Giovanni P., Gao, Jing, Maluk, Cristian H. and Bisby, Luke (2015). Fire experiments of thin-walled CFRP pretensioned high strength concrete slabs under service load. In: ICCM 2015 - 20th International Conference on Composite Materials. 20th International Conference on Composite Materials, ICCM 2015, Copenhagen, Denmark, (). 19-24 July 2015. Rickard, Ieuan, Maluk, Cristian, Bisby, Luke and Deeny, Susan (2015). Predictive testing for heat-induced spalling of concrete. In: IABSE Conference, Geneva 2015: Structural Engineering: Providing Solutions to Global Challenges - Report. IABSE Conference, Geneva 2015: Structural Engineering: Providing Solutions to Global Challenges , Geneva Switzerland, (929-936). 23-25 September 2015. Maluk, C., Terrasi, G. P., Bisby, L. A., Stutz, A. and Hugi, E. (2014). Experimental fire behaviour of precast CFRP pretensioned HPSCC slabs. In: Proceedings of the 7th International Conference on FRP Composites in Civil Engineering, CICE 2014. 7th International Conference on FRP Composites in Civil Engineering, CICE 2014, Vancouver, Canada, (). 20-22 August 2014. Maluk, Cristian, Bisby, Luke and Terrasi, Giovanni P. (2014). High temperature compatibility of CFRP versus steel reinforcement for concrete. In: Towards Sustainable Infrastructure with Fiber Reinforced Polymer Composites: A Symposium Honoring Khaled Soudki at the ACI Fall 2014 Convention and ACI Spring 2015, Kansas City, MO, (55-76). April 12, 2015-April 16, 2015. Maluk, C., Bisby, L. A. and Terrasi, G. P. (2014). Thermo-mechanical compatibility of CFRP versus steel reinforcement for concrete at high temperature. In: Proceedings of the 7th International Conference on FRP Composites in Civil Engineering, CICE 2014. 7th International Conference on FRP Composites in Civil Engineering, CICE 2014, Vancouver, Canada, (). 20-22 August 2014. Terrasi, Giovanni P., Maluk, Cristian H., Bisby, Luke A., Hugi, Erich and Kanik, Birol (2012). Fire experiments of thin-walled CFRP pretensioned high strength concrete slabs under service load. In: 6th International Conference on FRP Composites in Civil Engineering, CICE 2012, Rome, Italy, (). 13-15 June 2012. Large-scale Structural Fire Testing-How did we get here, Where are we, and Where are we going? Gales, John, Maluk, Cristián and Bisby, Luke (2012). Large-scale Structural Fire Testing-How did we get here, Where are we, and Where are we going?. In: J. F. Silva Gomes and Mario A. P. Vaz, Proceedings of the 15th International conference on experimental mechanics: Fire symposium. 15th International Conference on Experimental Mechanics, Portugal, (). 22-27 July 2012. Novel Fire Testing Methodology: Why, how and what now? Maluk, C., Bisby, L., Terrasi, G., Krajcovic, M. and Torero, J. L. (2012). Novel Fire Testing Methodology: Why, how and what now?. In: Proceedings of the Mini Symposium on Performance-based Fire Safety Engineering of Structures as part of the 1st International Conference on Performance Based land Life Cycle Structural Engineering. 1st International Conference on Performance Based land Life Cycle Structural Engineering, Hong Kong, (448-458). 5-7 December 2012. Maluk, Cristian, Bisby, Luke, Terrasi, Giovanni and Green, Mark (2011). Bond strength of CFRP and steel bars in concrete at elevated temperature. In: Venkatesh Kodur, Innovations in fire design of concrete structures : papers presented at the ACI Fall 2008 Convention. ACI Fall 2008 Convention, St. Louis, MO United States, (41-75). 2-6 November 2008. Maluk, C., Bisby, L., Terrasi, G. and Hugi, E. (2010). Bond strength degradation for prestressed steel and carbon FRP bars in high-performance self-consolidating concrete at elevated temperatures and in fire. In: Structures in Fire - Proceedings of the Sixth International Conference, SiF'10. 6th International Conference on Structures in Fire, SiF'10, , , (743-750). June 2, 2010-June 4, 2010.